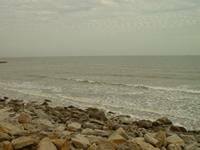 Galveston Texas Seawall and Galveston Hotels. 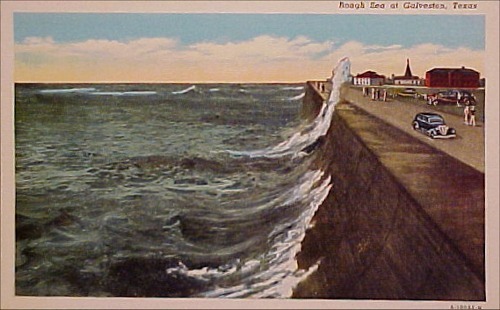 Built in 1902 to prevent the tidal surge of the 1900 disaster. First section was 3.3 miles. The hurricane that struck Galveston on September 8, 1900, still reigns as the worst natural disaster in United States history because an estimated 10,000 people lost their lives. 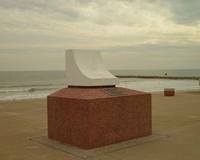 On Sept. 8, 1900 a devastating hurricane and tidal wave destroyed much of Galveston and left 6000 persons dead. After the tragedy, the city appointed a board of three engineers, Brig. Gen. (Ret.) Henry M. Robert (1837-1923), author of "Robert's Rules of Order," Alfred Noble, and H. C. Ripley, to devise protection from future storms. Work on their proposal, to be financed jointly by city, county, and state governments, was started in 1902. To prevent flood damage, buildings were jacked up and the surface of the entire city upgraded, increasing the elevation to a maximum of 12 feet above sea level. 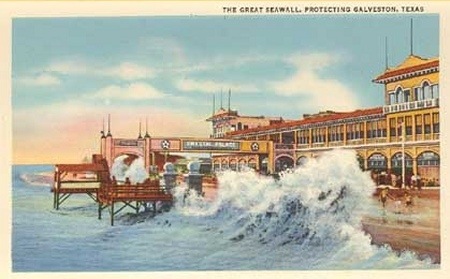 As a shield against high waves, a solid concrete wall was built along the Gulf shore of the island. 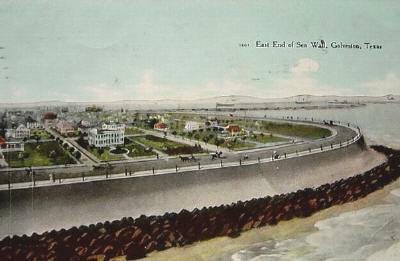 The original section of the seawall, begun in Oct. 1902, stretched 3.3 miles. Founded on wooden pilings, the 17-foot high barrier was backed by a sand embankment and protected in front by stone riprap. 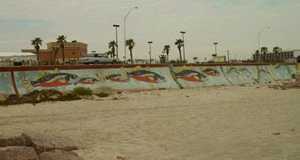 The Gulf side of the wall curved outward to prevent water from washing over the top. 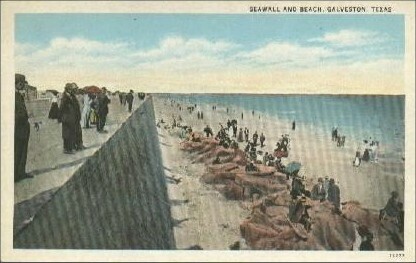 Finished in July 1904, the seawall proved its value in 1915, when a hurricane more severe than the storm 15 years earlier did far less damage. Since then, the wall has been periodically lengthened. 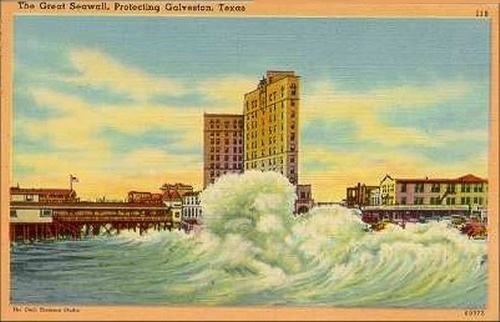 Freed from the threat of further destruction, Galveston has grown into a modern and prosperous city. 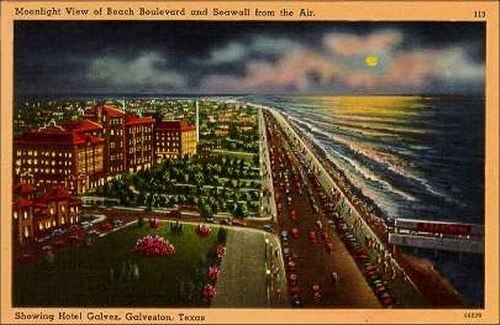 "The great seawall protecting Galveston, Texas"
"Moonlight View of Beach Boulevard and Seawall from the Air. 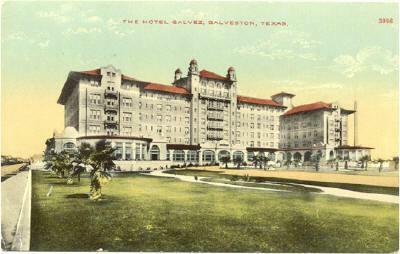 Showing Hotel Galvez, Galveston, Texas "